I’ve written many words about games that sought to bump Gungho’s Puzzle And Dragons (Free) from its lofty perch high atop the Japanese App Store, though only one, Terra Battle (Free), managed to top it in quality and none have been able to beat it in the charts. Well, the king appears to be dead, and the perpetrator is none other than Monster Strike (Free), another game from a big Japanese company, albeit not a company traditionally associated with games. Instead, it’s brought to us by Mixi, sort of Japan’s answer to Facebook before the latter rode in to grab its market share. Don’t worry, though, because there’s some real industry talent behind this game and it shows. 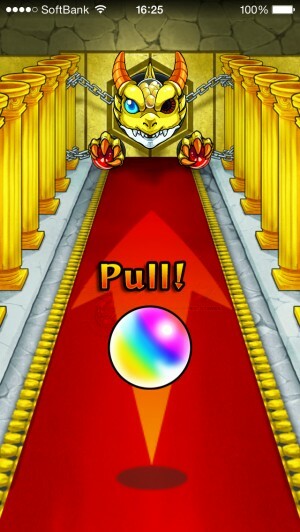 Monster Strike has dealt a powerful blow to Puzzle And Dragons, and it hasn’t come by that through luck. It feels a bit odd to see famous Japanese game designers showing up in the free-to-play mobile sector. Recently, we saw what happened when Hironobu Sakaguchi leveraged his impressive talents towards designing a social RPG in Terra Battle, and now, Yoshiki Okamoto has joined the party. Okamoto isn’t a household name among gamers, I expect, but even if you don’t know him, you’ve surely enjoyed some of the things on his resume. His career started at Konami, before moving to Capcom, then striking out on his own with his company Game Republic. The games he’s worked on either in design or production includes a staggering list of classics: 1942, Final Fight, Magic Sword, the Breath of Fire series, Street Fighter 2 and most of the Capcom fighting games that followed it, Dino Crisis, the Resident Evil series, several Mega Man games, and the handheld Legend of Zelda Oracle/Four Swords series, among many others. Unfortunately, AAA console game development ended up hitting Game Republic’s weak point for massive damage, and he seemed to have disappeared from the industry around 2011. Around a year later, he announced he was finished with console game development and was now working on mobile games, and I’m quite sure many thought Okamoto’s influential days were over. Life’s funny sometimes, isn’t it? A guy who left an indelible mark on arcades, home consoles, and dedicated handhelds has now shown that you really can’t keep a good developer down, and he’s done it in part by using one of his favorite tricks. Typically, we refer to games like Puzzle And Dragons as social RPGs or social games, but it feels like a bit of a misnomer at times, since there’s really very little social interaction involved. You can add people to your friend list and use their monster or character to aid you in battle, but when it’s time to battle, you’re still just playing by yourself. In Monster Strike, you can of course still play on your own, but you can also play some honest-to-goodness local co-op multiplayer if you want. The addition of multiplayer is likely one of the big reasons it has caught on in Japan, where local co-op is quite popular. Okamoto’s brought in more than just his love of multiplayer gaming, however. 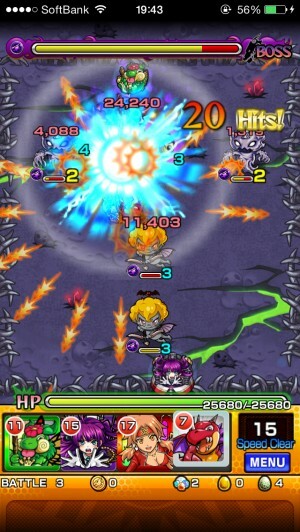 As is usual in this genre, there are two main components to Monster Strike‘s gameplay. The first part is going to be very familiar to anyone who has dabbled in these kinds of games before. Collecting monsters, forming a team, gathering resources and more monsters, fusing them, evolving them, and making your team more powerful are backbone gameplay elements by now in Japanese free-to-play games, and they’re here in full force. You’ll also find the usual things that go with that, like magic stones that you can use to pull rare monsters from a random draw, friend points that can be exchanged for weaker monsters and fusion ingredients, frequent online checks, a limited inventory space that you’ll almost certainly want to expand at some point, and a stamina meter that seems to drain more quickly the farther you make it into the game. The monster designs aren’t quite as good as those found in Puzzle And Dragons, in my opinion, never mind touching the beautiful work in Terra Battle, but I suppose that’s not really the point. After putting together your team, you can choose a stage you want to challenge, leading into the second part of the game. Like other games in the genre, a stage consists of several individual battles, culminating in a boss fight. The battles themselves, however, are pretty unique. Each battle takes place in a closed room where your four party members and the monsters are all laid out. In turn, you can fling each of your characters, slingshot-style, at the enemies to damage them. Items and power-ups sometimes appear along the walls for you to collect, and larger enemies will have a highlighted weak point you can aim for to do extra damage. If you collide with one of your party members, you’ll activate their special attack, usually firing out some kind of shot pattern that wouldn’t be out of place in a shoot-em-up. The key to doing the most damage is to bump into as many of your party members as you can while still hitting your target. These special abilities vary in range and direction, so you’ll want to try to land your character in an advantageous location with each shot. After a set number of turns, you can activate that character’s Strike Shot, a super powerful attack that will help you mop up whatever remains of the stage. Of course, the enemies get to get their licks in every few turns as well, and their attacks also follow certain patterns. You can actually shield your characters from being hit if you can tuck them in the right places, but you’ll have to learn the different attacks to know where those safe spots might be. Once you reach the boss, you’ll have more than just your health bar to worry about, though. Ideally, you’re going to want to aim for a speed clear, and the extra treasure it brings, by finishing off the boss within a set number of turns. The boss will frequently make a run for it, and if you haven’t mopped up its goons by then, you’ll have to waste turns finishing them off before you can pursue. As the boss’s life bar dwindles, the music changes to a triumphant, fast-paced tune that adds to the excitement. The battles are action-packed, lean heavily on skill rather than luck, and are simply tremendous fun, especially in multiplayer when you have to coordinate your assault with the other players. The issue with social RPGs usually comes down to where the paywall is and how hard it hits. Monster Strike is, so far, quite merciful in that regard. It’s quite generous with its premium currency, fusion monsters, and high value salable monsters. Rather than requiring you to keep a bunch of different monsters on hand for evolution, a practice that usually pushes against inventory limits hard, you instead need to collect items called stoans which aren’t part of your regular inventory. 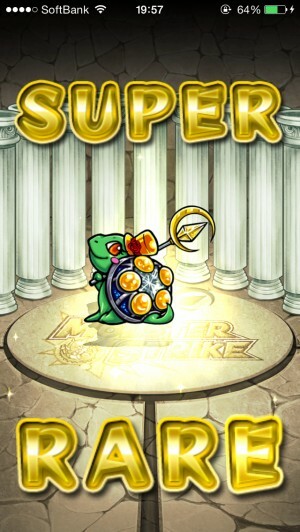 Like most well-designed games in this genre, stamina-restoring level-ups come fast and furious in the early hours of Monster Strike, ensuring that the stamina meter won’t be a problem for the first few tiers of stages at the very least. You will eventually reach a point where it becomes a bit of an issue, though. One nice thing the developers have done is that if you’re playing co-op, only one player’s stamina is reduced, so you can juggle around that burden to get in a fair bit of playtime before you’ll need to stop. Monster Strike also has a point where the difficulty takes a pretty big jump if you don’t have a decent party put together, a process that requires a bit of planning and likely some grinding. At the very least, you can be assured the game isn’t cheating by turning luck against you, since there aren’t really any means of doing that at the computer’s disposal. Monster Strike is an excellent twist on the social RPG genre, adding in some action elements that mesh surprisingly well with the usual genre tropes. If you have friends to take advantage of the local co-op with, it’s almost impossibly compelling. If the typical elements of these games turn you off completely, you’ll unfortunately find most of them firmly in place in this game. Overall, though, this is a great take on that spicy combination of burst gameplay and long-term team development that has captured the attention of Japan’s players and developers alike. I can’t wait to see which high profile Japanese developer takes on this idea next.